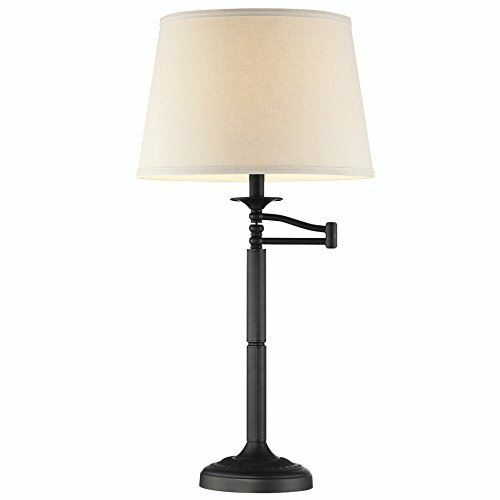 The Fremont showcases a swing arm combined with the comfort of a traditional style table lamp. Perfectly paired with a light gray shade, the Fremont's intricate design on both base and body make the lamp in to an instant conversation piece. It is the perfect lamp for any living room, dining room, study, bedroom, on your side table, end table or desk.